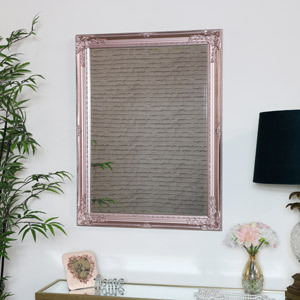 Part of our extensive range of mirrors, this large wall mirror comes in a stunning champagne silver colour with hints of gold. In beautiful vintage French style with ornate patterning on the sides and corners. As well as adding a focal point to a room or that final check on your way out of the door, mirrors are one of the best ways to add some extra light to a room, reflecting light around to create the illusion of space. 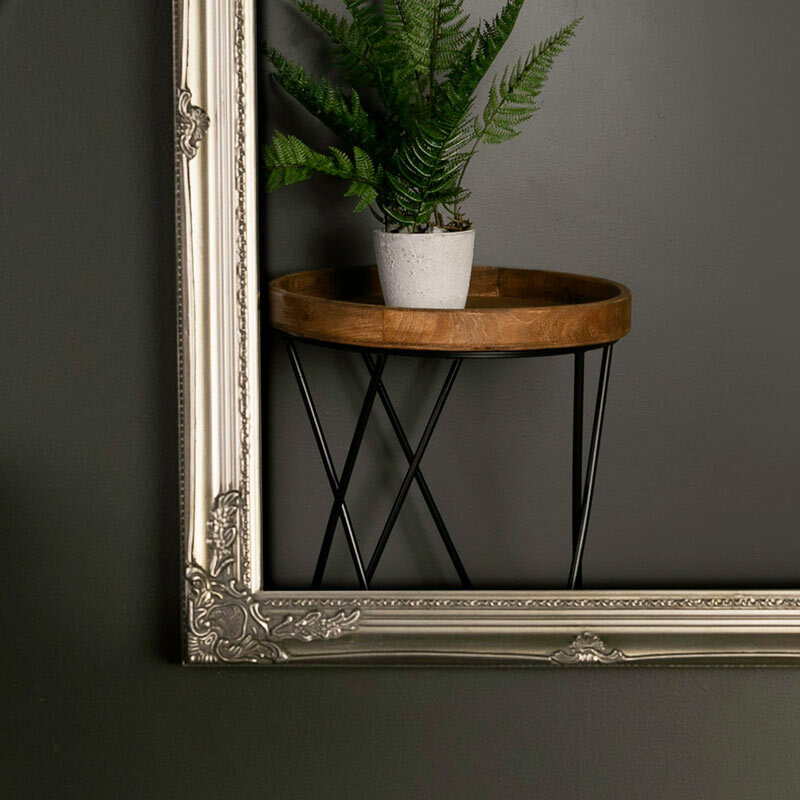 Having the right mirror for your decor can add that finishing touch to a room, making the perfect statement piece for your living room, hallway, bedroom or bathroom. 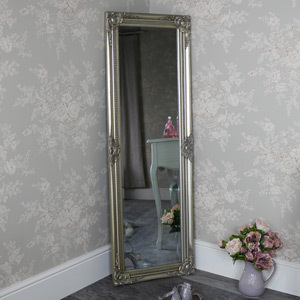 Part of our extensive range of mirrors, this large wall mirror comes in a stunning champagne silver colour with hints of gold. In beautiful vintage French style with ornate patterning on the sides and corners. As well as adding a focal point to a room or that final check on your way out of the door, mirrors are one of the best ways to add some extra light to a room, reflecting light around to create the illusion of space. Having the right mirror for your decor can add that finishing touch to a room, making the perfect statement piece for your living room, hallway, bedroom or bathroom. Easily wall mounted with hooks on the back, fixings for hanging horizontally or vertically. With mirror dimensions of 48.5cm x 68.5cm, this is a great size. 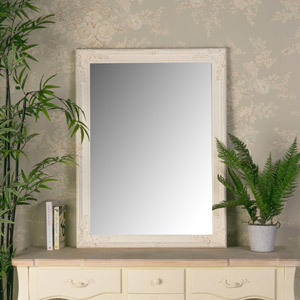 If you're looking for even bigger or smaller, we have many mirrors to choose from in a fantastic range of sizes, designs and shapes. 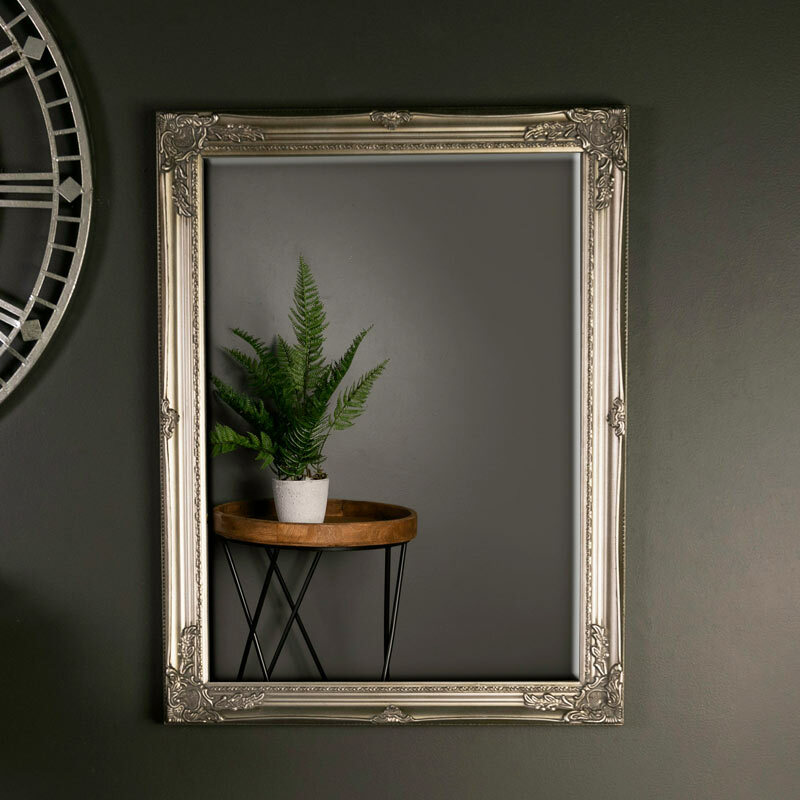 From the classically French, rustic country, inustrial retro and all the styles in between, you're sure to find a mirror to suit your taste and style.